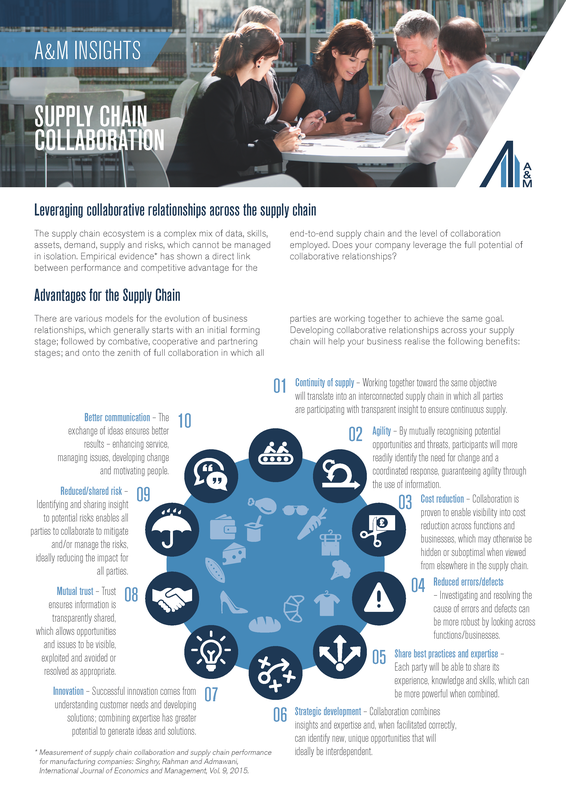 The supply chain ecosystem is a complex mix of data, skills, assets, demand, supply and risks, which cannot be managed in isolation. Empirical evidence has shown a direct link between performance and competitive advantage for the end-to-end supply chain and the level of collaboration employed. Does your company leverage the full potential of collaborative relationships?